I posted the recipe for Tarragon Chicken yesterday and then had someone point out I neglected to add a recipe for mashed potatoes to the blog. This is one of those dishes that I don’t really use a recipe for but I will post my standard procedure. My basic recipe is one potato per person plus one for the pot. Roughly peel (I prefer the rustic look and taste of a little potato skin in the final dish) the potatoes. Quarter them so the pieces are all about the same size and put in a pot and cover with cold water. Bring to a boil and boil gently until the potatoes are fork tender. While the potatoes are boiling put butter and milk (or cream) in a small sauce pan. The rule of thumb is 2 -3 tablespoons of butter and 1/4 cup milk for every 2 potatoes. Place this saucepan on the stove near a heat source so the butter melts and milk warms. 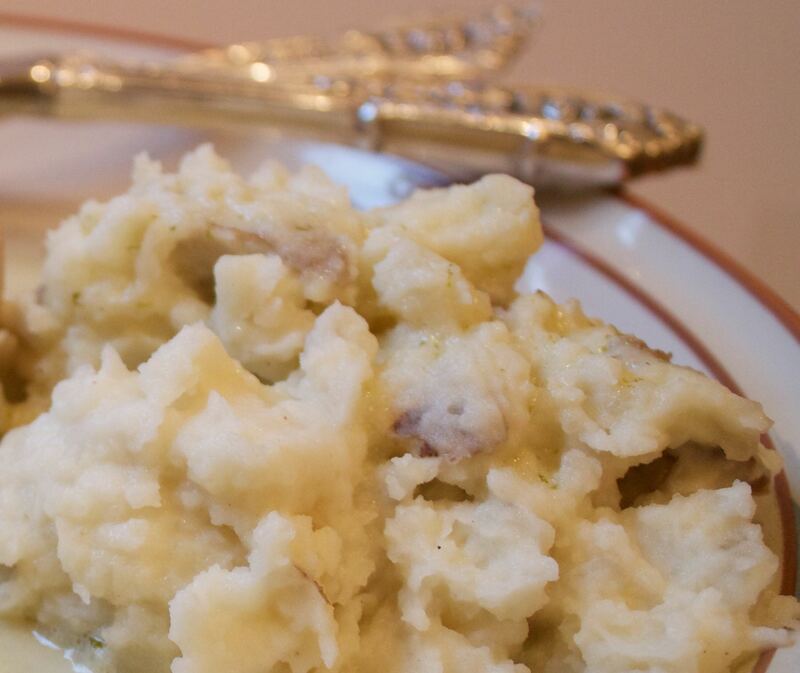 You never want to add cold milk or butter to your potatoes as it will cool them off too fast. Once the potatoes are cooked through, drain and then put them back in the hot pan. This will keep them warm and also dry off the last of the water. Mashed to desired consistency (I like a few lumps to show the dish started with real potatoes). Stir the milk mixture to combine the butter and milk and add half the liquid to the pot and stir well. Add half of the remaining liquid and a little salt and pepper and stir some more. Look at it – does it look dry? Add more liquid. If you aren’t serving immediately, add a little more of the milk mixture than you think it needs as it will absorb the liquid and keep the potatoes from becoming dry after they’ve been sitting. Taste and add more of what’s missing.